Tim Berners-Lee is simply one of the fathers of the www(world wide web). His talk at TED today looks at the history of putting data on the web. It is still difficult to explain what the internet is, and just how difficult it was to put together back then. It turned out to be a much bigger thing than he thought. DBpedia is a community effort to extract structured information from Wikipedia and to make this information available on the Web. DBpedia allows you to ask sophisticated queries against Wikipedia, and to link other data sets on the Web to Wikipedia data. *my battery is almost out, please hop on over to Ethanz for more TED2009 coverage. Thanks!! Updated on March 13th 2009 – The 20th anniversary of the www creation. TED.com posted his talk… watch below or on TED.com. 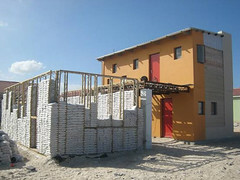 Seems like a really good idea in low cost housing…Its the brainchild of a South African architect and a builder. The World.org has a story on this. I didn’t catch the name of the architect, please comment if you know more. Thanks! Jan notes that there is a commercial version, called Nano Ganesh. The impact of this, particularly when combined with cheap and reliable services like Village Connection should not be underestimated. Indeed. This hack reminded me of the brilliant Morris Mbetsa from Kenya who made an anti theft device that is controlled remotely via mobile phone. When the technology platform allows for people to write localized applications, amazing things happen. This is another reason I like the Nokia S60, because it allows for anyone to create hacks such as this. Now that is transformative technology. I am currently reading Jonathan Zittrain’s book ‘The future of the Internet and how to stop it’ In the first few chapters he mentions ‘generativity’ and how it is part of the internet. To paraphrase, it is the ability for 3rd parties to create and innovate on top of a platform. In light of the S60 Nokia platform and the open source nature of the Symbian and Android…perhaps the mobile world is set to have platforms that encourage innovation around the world. Just like the story from India and Kenya are interesting, I think there is definitely more to come. For years, Microsoft and others have attempted without much success to shake AppleÃ¢? ?s tight grip on the digital music scene. From subscription services to the Zune, companies have searched for the winning alternative to the iTunes, iPod bundle. Analysts now believe FinlandÃ¢? ?s Nokia may have a good shot of chipping away at Apple dominance. More than 80 percent of people would pay for Nokia’s Comes with Music service – particularly when it feels like they are getting tunes for free. Nokia says it will launch the handsets Oct. 17 in Britain. Strategy Analytics said cost and selection trump brand – even ones so tightly woven as Apple, iPod and iTunes. Nokia Comes With Music effectively bundles a year subscription of music downloads (PC and mobile) into the price of a handset, analyst Pitesh Patel told Cult of Mac. Patel said Nokia – the largest handset maker – could overwhelm Apple’s iPhone. Nokia’s strong distribution and handset marketshare means that it currently sells more music playing devices than Apple, the Strategy Analytics wireless analyst said. It turns out that brand is irrelevant,said Patel. I often tell my friends to ‘Bet on Nokia’, and it seems like this is another reason to continue to do just that. It will be interesting to see how this plays out, though I would expect Nokia to continue its world dominance, and expansion in emerging markets. If Nokia can grab some of the Digital music market share, even better. Why am I rooting for Nokia over Apple? Because Apple, with its DRM and charging 99cents to create a ringtone( and only from songs bought on itunes) smacks of authoritarianism. Let alone the complete handset lockdown of the Iphone, with threats to turn it into an ibrick if you unlock the device then install a sw update. Sigh* With Nokia, you get an unlocked phone that affords you much freedom. You can use whatever song you want as the ringtone (at least that is the case with the E71), you can use your phone as modem, tether it to your laptop. This is particularly important when you are not in broadband rich areas, but are in a wireless-signal-rich locale. Speaking of the E71 do check out JKE’s series of E71 reviews. 1 mobile blogging, 2, 3 pics , 4, and stay tuned because the man is not done reviewing this phone. I often have to remind myself to buy music from the Amazon mp3 store instead of Itunes, because I believe DRM (Digital Rights Management) that Itunes still saddles on music is just plain wrong-headed. I am not about to be left in a lurch like the Yahoos who bought tunes from the Yahoo store (forgive me…I couldn’t resist!) To be fair, Itunes does provide DRM free music, but good luck finding the ‘itunes plus’ versions of the songs you want. Ory Okolloh is not only a blogger, founder of Mzalendo.com, co-founder of Ushahidi and colleague, she is also an inspiration to all of us. Below is the video of her talk at TEDGlobal 2007 – Arusha Tanzania. Friend of the blog Ethan Zuckerman will be speaking on September 2nd 2008 at the Berkman luncheon series, so is Eric Osiakwan of AfriSpa. The event will be webcast live at 12:30 PM Eastern Time (US) Bookmark the link and tune in if you can. Ghanaian internet entrepreneur and researcher Eric Osiakwan and the Berkman Center’s Ethan Zuckerman will discuss the climate for innovation around information technology in Sub-Saharan Africa. 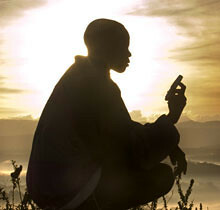 Eric and Ethan will talk about projects to improve connectivity to the continent and the business models these projects are pioneering, novel uses for mobile phone networks and the use of citizen media as a political force on the continent. This is the San Fransisco Solar Map. You can enter your address and it would give you relevant information such as the potential size of a PV system, and its approximate cost. This is definitely an example of how technology can be used to help people make informed decisions about renewable energy. Before you ask…when are we going to have something similar for Kenya/Africa? Soon, very soon. I refuse to use the phrase ‘Watch this space’. So ‘Soon’ it stays. I’ve been on the road since late last month, and I am afraid this space has been left quite neglected. So if there are any remaining readers…heres to a comeback. I had the chance to speak at TTI Vanguard early this month and my topic of discussion was Innovation in Africa[pdf pg 10 and 11]. I gave a brief overview of the tech landscape in Africa, and engaged mostly in conversations around what is happening now. Since then, the article ‘Inside Nairobi, the Next Palo Alto?’ by G. Pascal Zachary in the NY times became the 7th most emailed article in the NYT world business section, spurring some discussion around the theme of Innovation, ‘light tech’ and localization of technology in Kenya. Context matters, Galtung argues. If weâ? 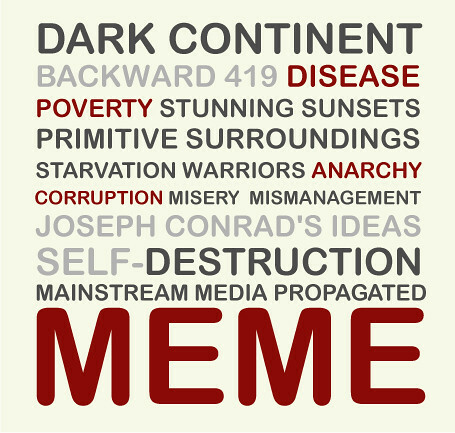 ?ve got a mental image of Africa as a backwards and technically retrograde place, weâ? ?re likely to miss stories about innovation in mobile commerce (see the lead story in issue 407â?¦) or success in venture capital. Galtungâ? ?s fifth maxim is closely linked to the idea of cognitive dissonance – itâ? ?s uncomfortable to attempt to resolve new information that conflicts with existing perceptions, beliefs and behaviors. Well, its quite an experience to have an encounter with someone who clearly brings this cognitive dissonance to light…I wont go there though. Suffice to say Africa, we have a long way to go. The overarching meme about Africa is still one of poverty, corruption, despots, famine and stunning sunsets…yeah, you know. Oh perhaps the stunning sunsets meme is one I would totally agree to and actively propagate, but I digress.This is with no small thanks to foreign correspondents who cover African news with the aforementioned brushstrokes. trying to think of the bigger picture, a way to wrap my mind around things. Years ago, my friends’ mom told me about a ‘bad-good-shot’. When you swing that golf club and you know that you missed the green by considerable measure, yet the ball hits a tree and deflects onto a reasonable section of the course, then you get to make a better than expected shot. There are some projects and tech that arise out of challenges like dearth of broadband, and in reaction to the bad choices our leaders make. In Africa, we get some of those really bad shots, sometimes, something good arises out it and perhaps we can position ourselves for a much better shot at prosperity. I do not know if we can, but we can definitely aspire to it. I think TEDGlobal Arusha had started that rebranding process, by bringing to Africa a mix of intellectuals, scientists, technologists…you name it; to experience an alternate African reality of sorts. Last monday, I was reminded by Sean to not underestimate the value in bringing prospective investors to Africa, so they can have a different context, and perhaps get over that ‘cognitive dissonance’. As I look back to TEDGlobal, I remember that I was in awe of my fellow Africans, I was inspired by them, and felt that we had just gotten to the ‘jumping off point’. I am still inspired by their talks as they are released on TED.com. Well, December 30th 2007 came, when the meme of ‘Kenya’s potential’ suffered quite a blow. It will take awhile to rebuild that confidence in my mind, let alone the minds of others. I think other countries in Africa have a positive meme attached to them and boy, am I envious. My Ghanaian friends, please guard the positive meme of Ghana with all you’ve got. As a Kenyan, and also as an African I still believe that we can redefine/ we are redefining what it means to be African. When it comes to markets and the potential in disruptive technology, I would strongly suggest you subscribe to Sean Park’s blog, and Bankelele’s too. These guys give you the meat and potatoes when it comes to evaluating not only the economics but the potential in mobile banking and other sectors of African/Kenyan economies. Because aspirations are well, good and awesome (really! ), but at the end of the day, fundamentals of investing should always be rock solid. So there is the perception problem, but that can be tackled by hard data. Speaking of market data, AfriMonitor launched earlier this month. 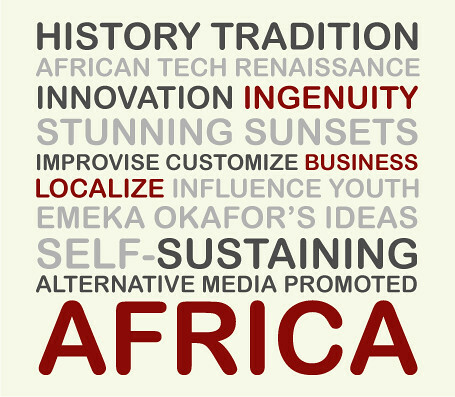 It will be a great resource as the bid to rebrand Africa continues. Various conferences will be happening throughout the year, and will be invaluable in bringing together many of you who see this alternate African technological reality. I am still bummed that I did not make it to Barcamp Nairobi in June, but I am making every effort to make sure I do not miss the next one. Last but not least, I just want to salute Wilfred Mworia, all the geeks and volunteers at Ushahidi, Josiah Mugambi, Dorcas Muthoni of Linux chix Africa, Riyaz, all the Skunkworks geeks, Kasahorow crew, JAB, techies in Kenya, Ghana, South Africa and other African countries. Here is to not just the next Palo Alto, but the next Nairobi, Accra, Abuja, Capetown, Johannesburg, Lusaka etc. Two opportunities I would like to pass along, the first is SEPS (Sustainable Energy Project Support) call for applications. Now in its fifth year, WISIONS, a Wuppertal Institute initiative that is funded and supported by the Swiss-based foundation ProEvolution, has launched its annual call for applications for Sustainable Energy Project Support (SEPS). WISIONS invites the submission of proposals from now until 18 August 2008. The total grant fund for financial support of SEPS projects in this, the 5th round (2008), is â?¬500,000 (across all projects). Partial funding of projects is possible. We are looking for promising concepts and innovative projects with an integrated approach in the fields of renewable energy and energy efficiency. Our main goal is to identify environmentally sound projects that use modern existing technologies, demonstrate the advantages of sound energy solutions and integrate local people, enabling acceptance and further replication. The deadline is August 18th, and you can download an app here. The deadline for this is August 11th. While features like phone-sharing, cost monitoring and flashlight remain relevant to consumers in entry markets, Nokia continues to add new functionality, such as mega pixel cameras, FM radio with recording functionality, email and Bluetooth connectivity technology to mobile phones targeted at consumers in entry markets. while on the site, and if you have a decent connection, do check out Julius’ story; on how he uses his Nokia phone in Kapenguria, Kenya. I am still admiring this silhouette image of Julius and his phone.